Community pharmacy has many touch points in a cancer patient’s journey. From prevention all the way through to end of life – and it’s not just about medicines. It’s an unsettling fact for health care professionals that 40% of cancers are preventable. The two highest causes of preventable cancers are smoking and obesity. Smoking cessation services have been offered by community pharmacy for many years and we have helped thousands of patients quit the habit for good in that time, especially those that shun other health services. Our efforts will have extended and saved lives – something to be very proud of. Obesity presents a new challenge, one that community pharmacy teams are well placed to address. The work of healthy living pharmacies is relevant here, but the opportunity is so much greater to perform small interventions that could impact significantly on someone’s lifestyle and therefore their life expectancy. Community pharmacies also provide a network of accessible health advice and patient education. This could be the key to patients being more aware of a symptom that could indicate early onset. There is the potential to have meaningful engagements when patients wish to buy over-the-counter products which could be masking red flag symptoms. Some work in this area has already been done with pharmacists using the Risk Estimation for Additional Cancer Testing through the Cancer Vanguard and the University of Manchester. We can build on the success of this work to make a difference to more people’s lives. In terms of early detection and diagnosis of cancers, pharmacies provide a convenient and accessible place for patients to present with symptoms that they may be concerned about. This could be a pivotal point at which patients could be appropriately referred into either general practice or maybe in the future, directly into secondary care for further clinical assessment and diagnosis. In terms of the treatment phase of a cancer patient’s journey, the community pharmacy may become a more convenient and accessible place for a patient to either collect their cancer treatments (tablets/capsules) – or even have the cancer treatment administered. 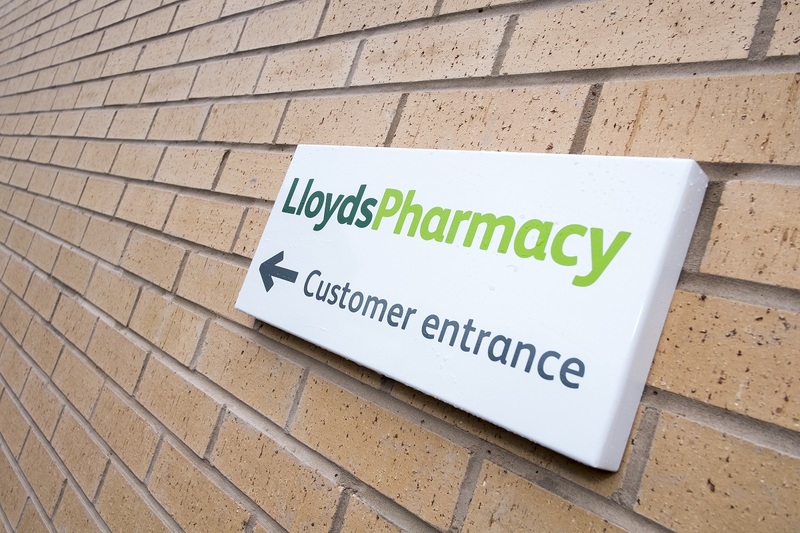 LloydsPharmacy has pioneered this treatment and last week we delivered the first infusion treatment for a cancer patient adding to other cancer treatments already offered from LloydsPharmacy Healthcare Centres. Our vision for the future is that patients have a choice of hospital, home or community treatment. Pharmacies could equally be another route in to acute oncology services, when patients present with side effects of their treatment. And let’s not forget that when patients are receiving treatment for cancer they often need supportive care and advice. Community pharmacists and their teams are well used to providing this service on high streets up and down the country, every day. This service becomes even more important towards the end of a patient’s life. So let’s hope that community pharmacy can continue to make a difference to those living with cancer, their friends and their family.